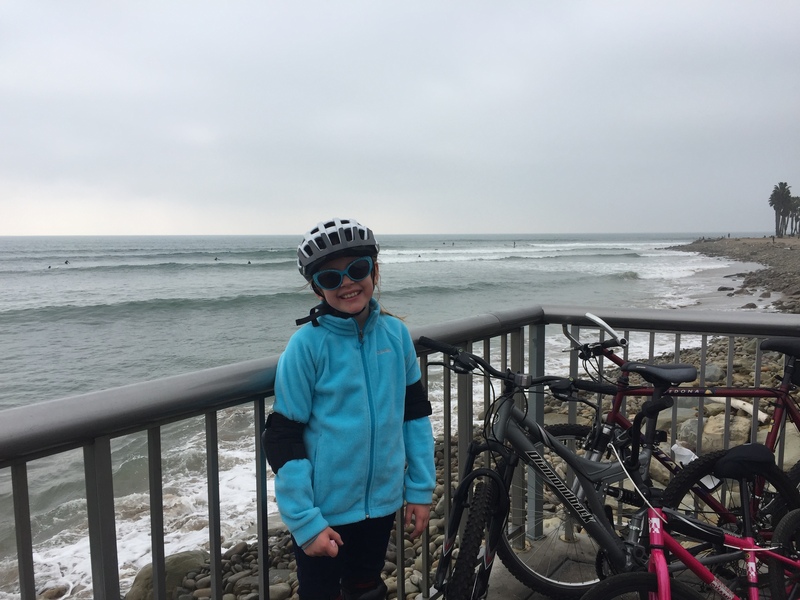 After two days of intense learning and practice, my daughter mastered riding her bicycle without training wheels, and we enjoyed our first family beachside bike ride today! My family’s focus for 2018 is on health, fitness and being active while having fun. As part of our new active lifestyle, we will be doing a lot of bicycling. 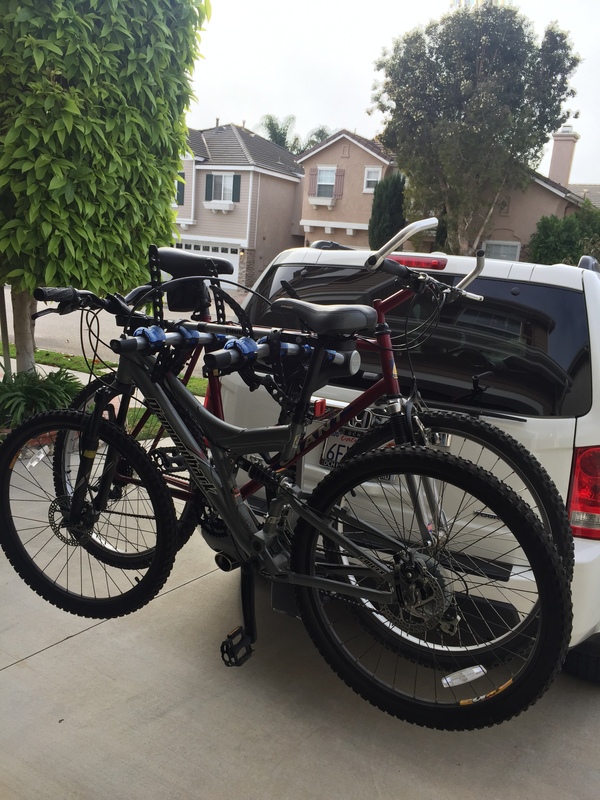 We recently bought a new bike rack for the SUV, and had all of our bikes tuned up. 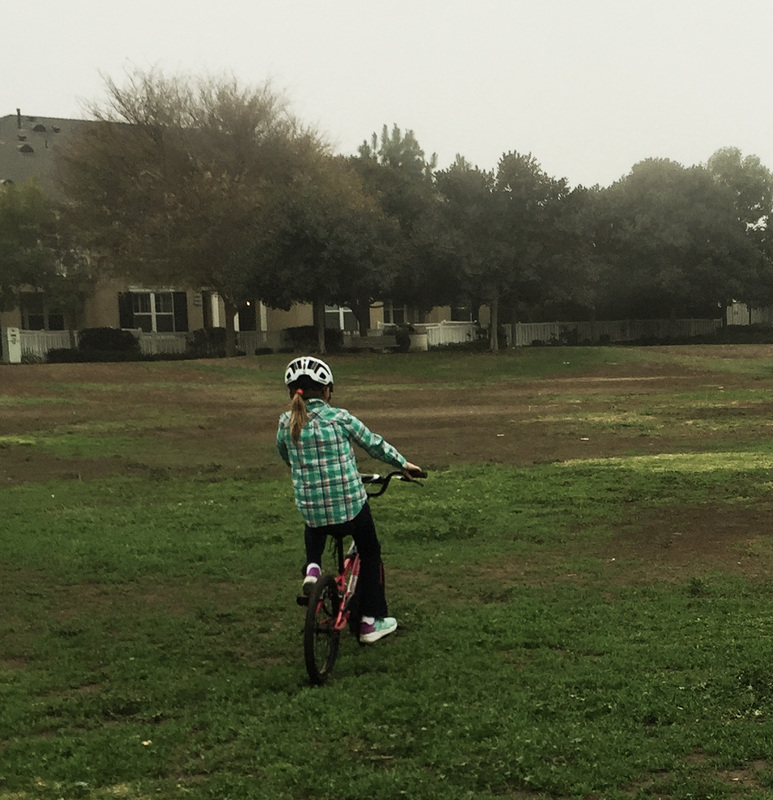 The only thing left to do was to teach our daughter to ride her bike without training wheels. It’s something we had slacked off on. And it was much overdue. 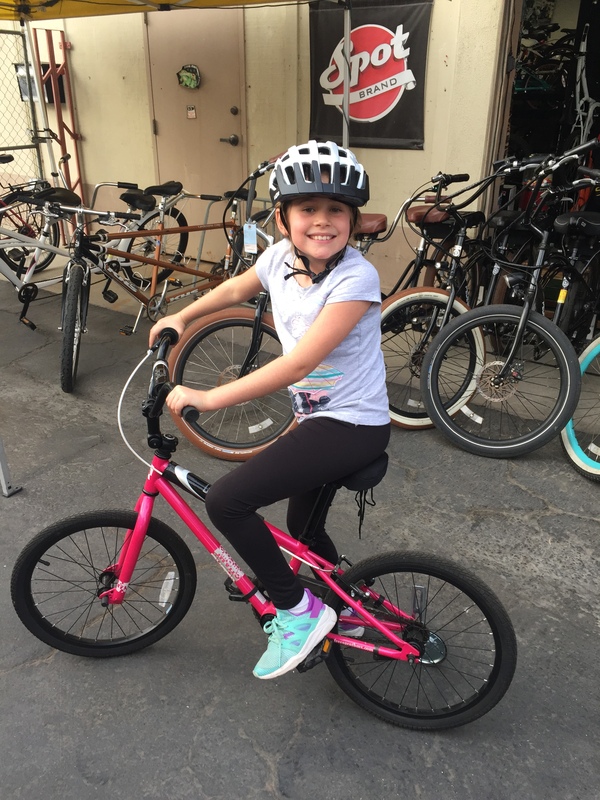 Especially considering that my brother – who is a mountain bike racer, owns two bicycle shops in New Hampshire, and even has a mountain bike named after him – gave Siena a really nice bike for Christmas a few years back. Unfortunately, she hadn’t ridden her bike all that much, and when she did, it was with training wheels. But, 8 is not too late! 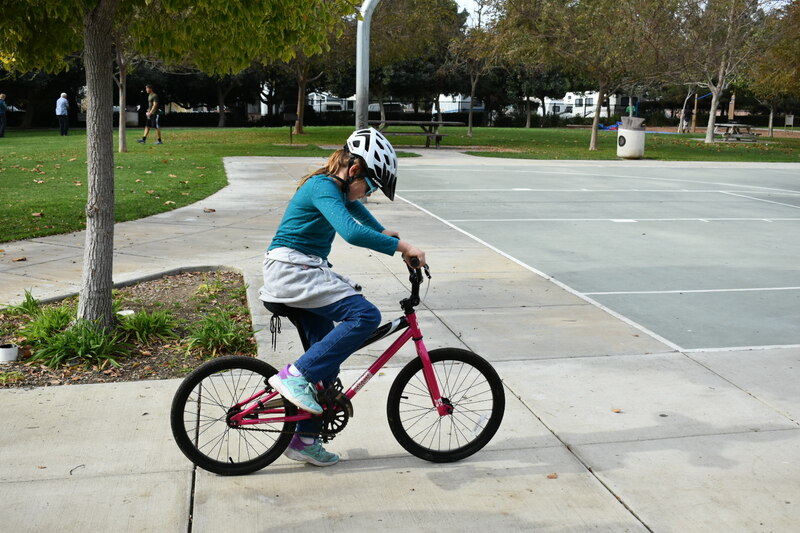 So, last weekend we took her bike to a local bike shop and they were able to resize and revive it – with a new seat post, seat padding, handle bar stem, and so on – and make it fit her perfectly! We also got her a new helmet. She was ready! I decided then that by the end of the following weekend (this weekend) she would be riding without training wheels. It was my mission! So, on Friday, we went to the park to get started. Siena’s bike still had one training wheel, which we planned remove after a short while. But, after a few minutes of that, I insisted that it come off immediately! She was leaning on that side, and using it as a crutch. She didn’t need it! So off it came. We started her out in the grass and away she went! She was riding her bike! With no training wheels! She started off with my husband giving her a good push. Soon she was able to get herself started. Turning was a little tricky at first. She figured out how to stop using the hand brake, yet she fell a lot after stopping. But she kept getting up and trying again and again! After a while she was ready to ride on the concrete. She did great! She did fall and bump her knee a few times, and once ran straight into a tree (thankful for that helmet). She cried a little and took several breaks to go play on the playground. But that was okay. We remained positive, supportive and encouraging. When she was ready, she rode some more. She was a little hesitant at times in the beginning, with lots of stopping for no reason. But that’s okay. She was getting used to it, getting a feel for it, learning to balance, learning the process. 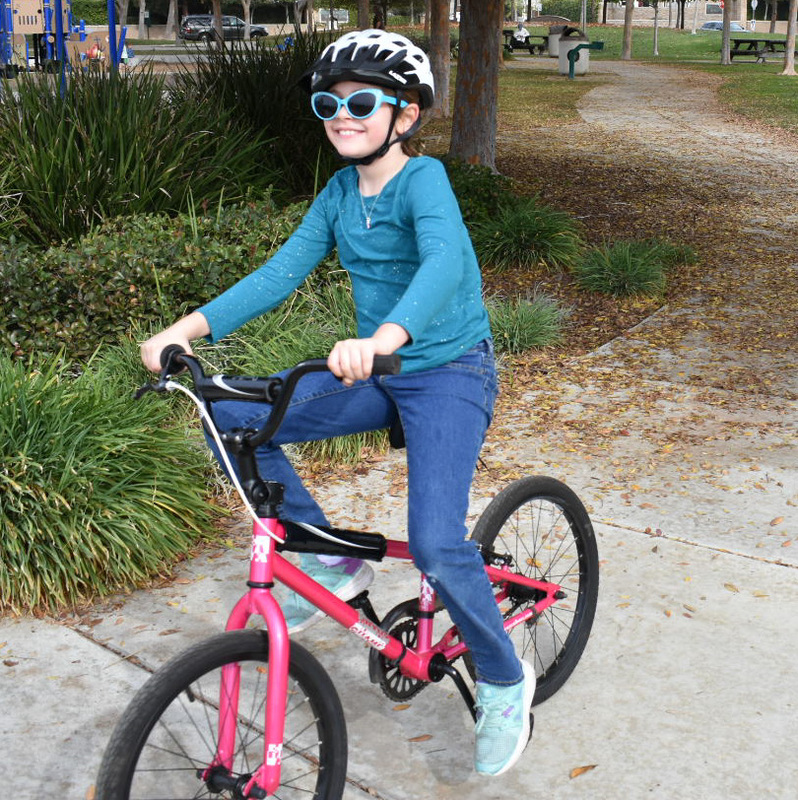 She had to simultaneously put all the operations together – peddle, steer, watch where you’re going, stop, don’t hit that kid who just ran came out of nowhere. She continued to practice, practice, practice! And, she got noticeably better and better at it, and more confident. We went back to the park yesterday and practiced much more. And, by the end of our time there, she had nailed it! Like with most things, it took patience, practice, persistence – on her part and on ours. 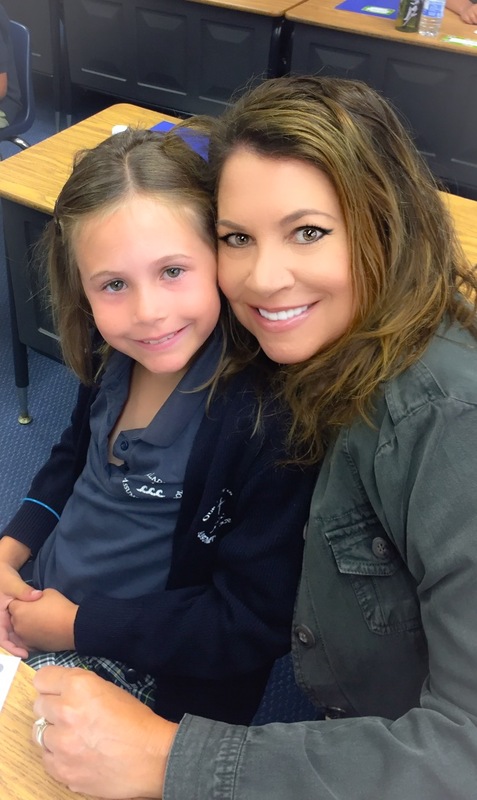 And it didn’t matter that she didn’t do it until she was 8, she did it! Now, we were ready to begin our family bicycling adventures! Our daughter did talk us into getting her some knee and elbow pads. Today, we enjoyed our first family bike ride at the beach! It was a lot of fun, and we look forward to lots more of them!